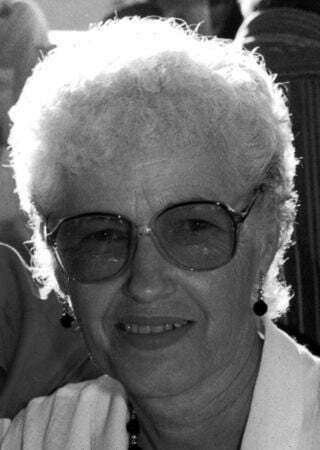 GRIFFITH, IN - Joan R. Kekelik, 83, passed away on April 13, 2019. Born Joan Johnson on July 19, 1935 she is preceded in death by her mother, Helen; siblings, Shirley and Jeff. Joan and her beloved husband, Jack (John) were married for 63 years and their union produced four children, Jacqueline, Karen (Richard), Steven (Sue) and Nick (Pam); 14 grandchildren: Jeremy (Susan), Natalie (Joe), Jocelyn (Jesse), Staci (Dave), Amanda (Gram), Jimmy, Jarrett, Jacob, Justin, Jonathan, Steven, Sawyer, Sienna and Zachary (Alicia). Proud great grandmother of Samantha, Joey, Rhett, Rubi, Ryder, Macoy, Caitlyn, Damien, Elizabeth, Sarah, Steven, Leo, Simon and Savannah. Friends are invited to visit with the family from 4:00-7:00 PM on Tuesday, April 16, 2019 at HILLSIDE FUNERAL HOME & CREMATION CENTER, 8941 Kleinman Rd., Highland, IN 46322. A Funeral Mass will be offered at 10:00 AM on Wednesday, April 17, 2019 at St. Mary Catholic Church, 525 N. Broad St., Griffith, IN 46319. In lieu of flowers, please consider making a donation to St. Mary's Family Services in honor of Joan. Joan's family and friends will always remember her genuine smile, her willingness to help anyone who helped his/herself, and her loving guidance to her family and friends. Joan treated everyone with kindness, respect, and encouragement and expected those around her to do the same. She inspired her children by instilling an attitude of being able to do anything. She could always be counted on to do the "right thing". For additional information, please contact HILLSIDE FUNERAL HOME & CREMATION CENTER KONNIE KUPIPER-KEVIN NORDYKE by calling us at 219-838-0800 or visiting us at www.hillsidefhcares.com.